When I spent three weeks in Bolivia, I got food poisoning, likely from eating a salad which was washed with unclean water. After I flushed out my system (I’ll spare you the details), my friend handed me an unmarked capsule and said ‘Here – take this. It’s a probiotic, it’ll help.’ Her mom was a nurse, who insisted my friend always travel with probiotics. At the time, she couldn’t really explain to me what it was – something about good bacteria, like eating yogurt. Very hesitantly, I swallowed the pill….and that was my first encounter with probiotic capsules. That was in 2015. Just two and a half years later, the buzz about probiotics has grown exponentially as I am continually educated on what these live cultures can do and more studies are being done about the benefits of a healthy gut. So, what exactly are probiotics? Probiotics are the beneficial bacterial that grow naturally in our intestinal tract. Their primary role is to assist with digestion, linking to a healthy gut and immune system. You can take probiotic supplements to bolster what your body is already making, or to compensate for what your gut may be lacking in order to balance the good and the bad bacteria. Or, you can get it in fermented foods like yogurt, kimchi or kombucha. 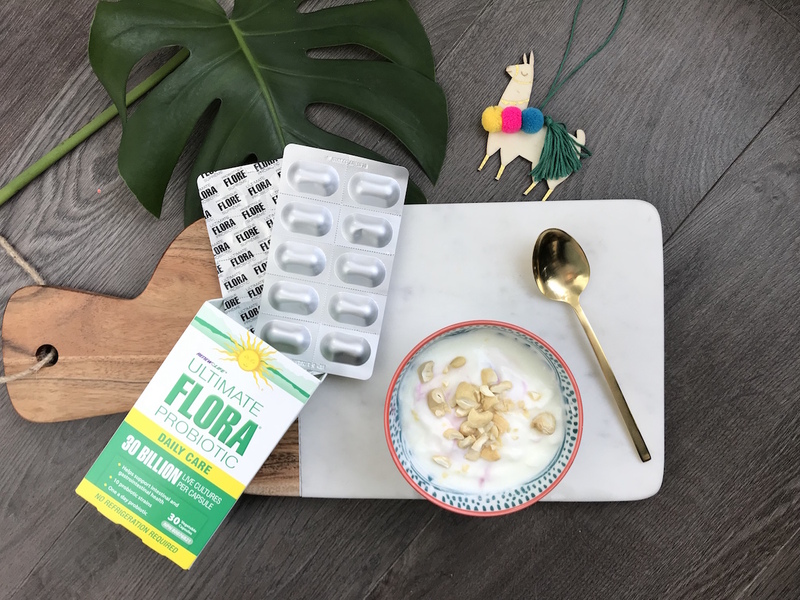 We have billions of natural probiotics in our gut flora, which helps fight off bad bacteria which may enter our system, especially while travelling in foreign countries. Ingesting probiotics are one of many ways you can help keep your gut healthy while travelling. Keep reading to see some of my other suggestions! Drink water – Water helps flush bad bacteria out of your system, so stay hydrated. Especially if you’re travelling to hot-weather countries, drink as much water as possible. If you’re in a country with unclean water, use purified or bottled water…even when you are brushing your teeth. Especially in developing countries, be wary that even if raw veggies are washed, it could be with unclean water. I was advised that slow cooked foods (like stews) would be our best bet for avoiding food poisoning. Limit Intake of Caffeine and Alcohol – These can be irritants to your gut. The acidity in coffee, for example, can irritate your stomach lining while caffeine stimulates your nervous system and causes the stomach to produce excess acid. Consume Probiotic-Rich Foods – Say YES to fibre-rich and fermented foods. Some international examples include sauerkraut (in Germany) or kimchi (we had lots of it during our 48 hours in South Korea). Or, packaged yogurt and kefir can often be found at a local grocery store. Consume Probiotic Tables – It is not always possible to consume probiotic-rich foods while travelling, so be sure to bring shelf-stable probiotics pills with you. I will be bringing Renew Life’s Ultimate Flora Probiotic (30 billion live cultures per tablet) with me on my upcoming round-the-world trip. Renew Life has been around since 1997 (20 years!) and they are ranked as North America’s #1 digestive care and cleansing company. Tablets are sealed in foil to maintain freshness, and are also GMO-free with no artificial colours, preservatives or fillers. And, they are shelf-stable pills, meaning no refrigeration is required which is key for travelling. Minimize Stress – Relax, you’re on vacation! Whenever I feel stressed or anxious, I get butterflies in my stomach, would could be my gut telling me that something isn’t right. 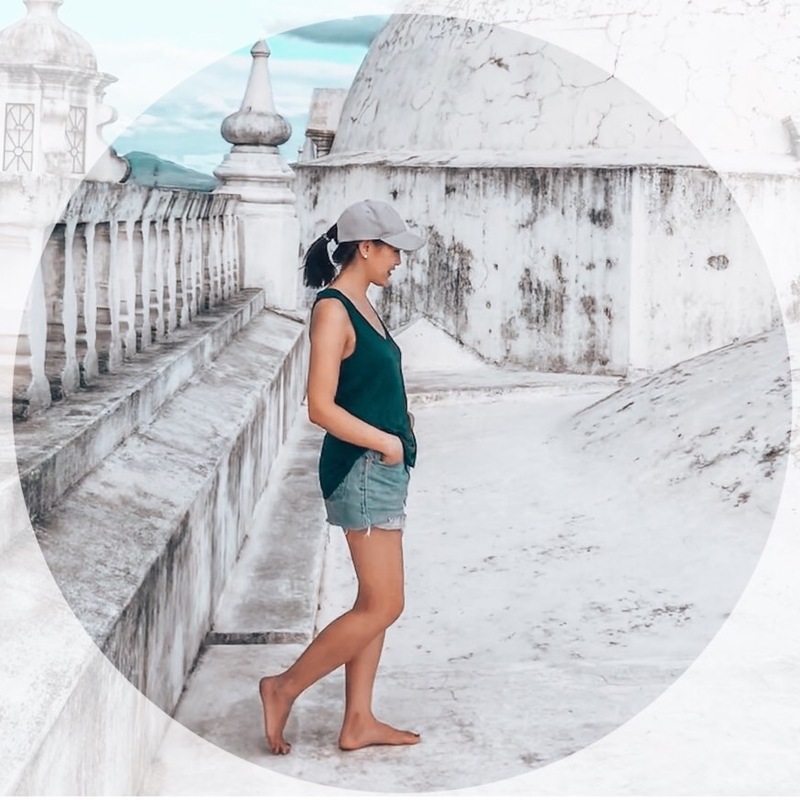 Travel can be stressful but if you embrace the experiences – both good and bad — that come with travelling to a new country and maintain a positive attitude, it will help minimize your stress. Chances are, your gut will feel better already. This post was written in collaboration with Renew Life, North America’s #1 digestive care and cleansing company. Great Tips !!! Nothing worse than being sick when you travel!